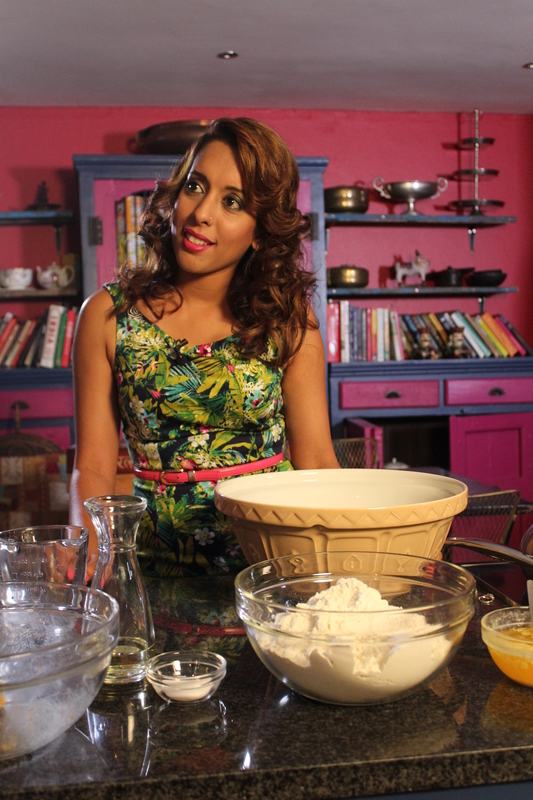 Yudhika Sujanani on SABC 2’s Mela – Paratha’s on the menu! ‘Dear Lord…please make them puff!’ Parathas were on the menu on Mela and during the shoot, I prayed and prayed…and prayed. Every now and then a recipe flops and it’s disastrous but flopping on camera would be a catastrophe! I bang out batches of paratha especially for Sunday brunch and they do puff up beautifully…but as Murphy would have it, I thought that they wouldn’t with a camera in front of me! 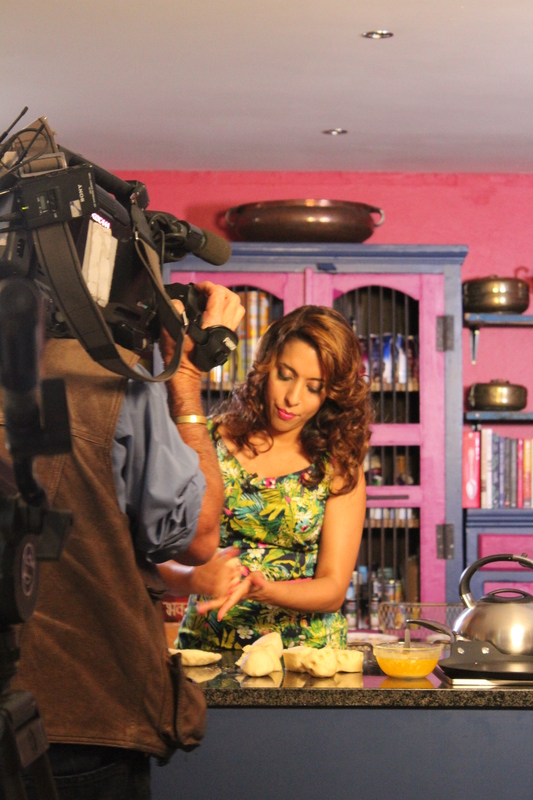 The Mela season two shoot kicked off with the paratha episode and much to my relief…they did puff up! Phew…I was so delighted…I mean overjoyed and having a whoop whoop moment. I even dropped a comment about an Indian superstition – your mother in law will love you lots if your roti and paratha puff up into golden orbs! Well, it’s just a superstition and I can tell you that it’s not true…maybe it’s because my mother in law doesn’t eat paratha??? To the old fashioned recipe, I added a light drizzle of condensed milk and a generous sprinkling of fresh grated coconut. 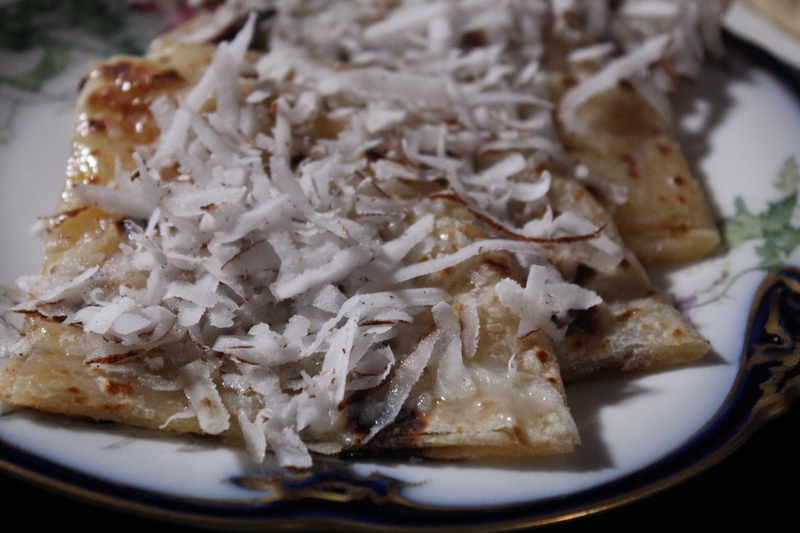 This is something I picked up in Thailand – the locals prepare a pancake with banana, condensed milk and coconut – takes me back to being so so lucky to travel with the Thai Embassy and Amazing Thailand. Pour in the boiling water and mix with a wooden spoon. Pour the sunflower oil in and mix well to combine. Knead the dough while it is still hot until smooth. Roll the dough into a ball until the cracks are no longer visible. Slice the dough into eight pieces and roll into a smooth ball. Leave the pieces in a mixing bowl and cover with a damp cloth. While the dough is resting, prepare the filling for the parathas. Peel the skin off the potatoes and place them in a mixing bowl. Mash the potatoes while they are still warm and leave to cool. 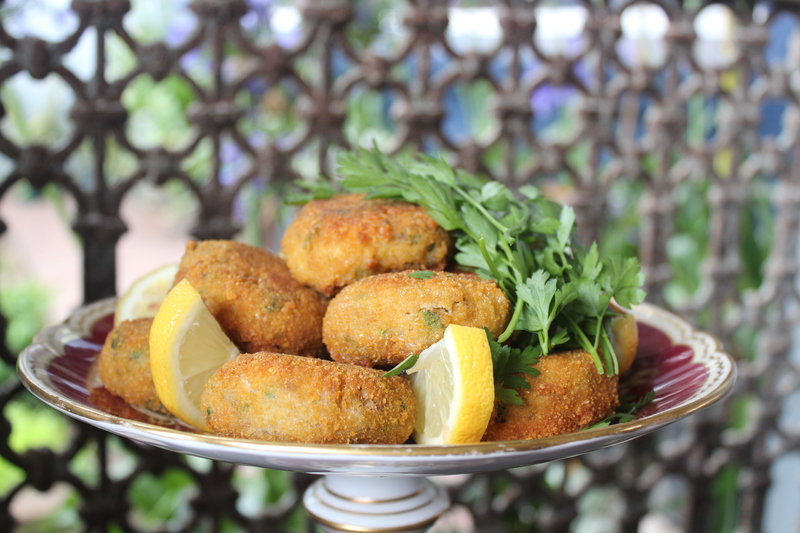 Pound the ginger and green chilli in a mortar. Add the pounded mixture to the mashed potato. Add the chopped coriander and red chilli powder. Flatten each piece of dough and scoop the filling into the centre. Gather the edges of the dough to the centre to enclose the filling. Twist the centre and pinch of the excess dough. Gently flatten the dough with a rolling pin on a well floured work surface. Roll the dough out into 15 – 17cm rounds. Place the paratha on a heated tawa (indian griddle pan) and cook until freckles appear. Turn the paratha over and drizzle a little melted butter over. Turn again and drizzle a little butter over. Remove from the pan when there are deep golden brown freckles on the parathas. Smaller parathas are easier to handle especially if you are a beginner. Adjust the green chilli if you would like a milder paratha. 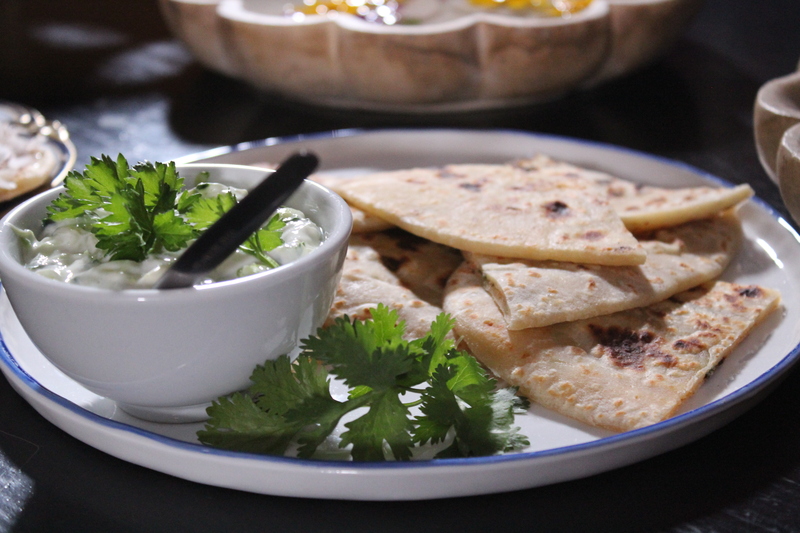 Parathas can also be served with Mint Raita.